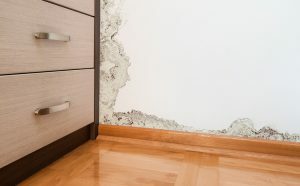 Is Mold in the Home a Big Deal? Do you sometimes wonder whether people are just paranoid when thinking about mold? Maybe you think people have too much time on their hands, and that mold in the home isn’t actually a big deal. After all, isn’t cheese made from mold? If so, it can’t be that big of a deal, right? To a certain extent, yes, your line of reasoning is correct. Mold has been in the air since the beginning of the human race (and most likely, before that, too). We breathe mold every day of our lives. However, many modern homes aren’t as ventilated with outside air as they were just a couple of decades ago, so mold can easily accumulate in the home. If humidity or wetness is present, mold can grow rapidly and put inhabitants’ health at risk. There are certain types of mold that are often found in homes that, if left unabated, will mess with your and your loved ones’ health. There’s really no such thing as deadly mold when it comes to otherwise healthy people, though senior citizens and children whose immune systems aren’t at full strength will likely experience more adverse health effect after exposure. If stacybautris (black mold) is present in more than a very small area of the home, even healthy people will probably begin to experience allergy symptoms. Anyone with respiratory issues should be especially vigilant to avoid exposure to stacybautris and other forms of mold. Can’t I just spray with bleach? Lots of people think they can just spray a patch of mold with bleach and then they’ll be good to go. If only it were that easy! We receive calls all the time from people who say that they spray a patch of mold in their home with bleach, but it just keeps coming back. 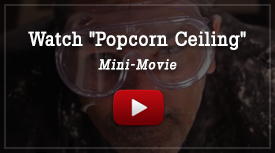 Or people often have a contractor cut out the mold and replace the sheet rock, but unfortunately, this inexpensive solution often doesn’t resolve the problem. The problem is that most contractors have no idea how to dispose of mold properly, plus they don’t have specialized equipment to handle this job. So what happens is that during the removal, the mold gets stirred up and many spores are released into the air of your home, resulting in even higher mold levels. It’s essential that if you suspect that your home contains mold, call Southern California’s experts – H2 Environmental Consulting Services – at (800) 524-3578. We have all the most advanced equipment to test your home for many kinds of mold and if detected, remediate it effective. Not only will we test every surface of your home for mold, we’ll test the air itself. The most important aspect of resolving a mold problem is to remove the source of excess moisture. We’ll determine and eliminate the source of moisture, such as a leak, to stop the proliferation of mold in your home.